We''re off! The clock is ticking and the 2015 season is underway. The principal has to go. And it has to be done fast. Just saw on the news that GVDG without his Superlicense won't drive...jeez!!! The two Ferraris head straight out on track. what colour are the McLarens? Still the greyish silver - a hangover to the merc days - or have they changed to Honda colours? @Tazio: I'm afraid - unless you're a huge fan of grey - it's still the same. I like Sauber but this GVDG deal is making Monisha and the team look really bad. Lots of cars out there for their installation laps. Young Verstappen is one of them. Hey Nate, If Alonso races in Malaysia the will he get a new engine? or he will use the one Kevin is using? @Flarenac: That will be down to numerous factors, but mostly how well the engine survives this race. With only four engines allowed this season McLaren aren't going to want to move on to a second at the second race of the season. Speak of the devil - Magnussen is out on track. On the other hand, if whatever deal GVDG makes kills Sauber, good luck ever getting another drive. What was the final tally on tokens? @mfbull: We're not sure yet as it gets clarified at this race. We'll find out from Honda at some point at the next few days hopefully. @alex: Well it's too late for him to do it for this race. Magnussen completes his installation lap and returns to the pit lane. How many laps can McLaren finish today after such a rotten winter? Encouraging start as they were ready to go from the first few minutes. Is Magnussen driving an Orange coloured car? @Jimmy: No. It looks more glittery. Lots of sparks flying from the back of Hamilton's Mercedes in the middle sector. Rosberg's installation lap saw him go purple in the first two sectors. Saw that Newey's kid is going racing, he's got to be a better driver than his dad, no? 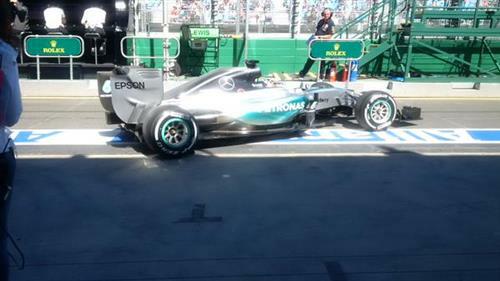 Hamilton sets a 1:32.044, before Rosberg lowers the benchmark to a 1:29.557. Mercedes starting the season with confidence. Shame that F1 website is not showing any Photos as usual...It looks like they want to keep the fans away...I am one of them!!!! @Capoa: There's a very swanky new F1 live area there now though for times etc. 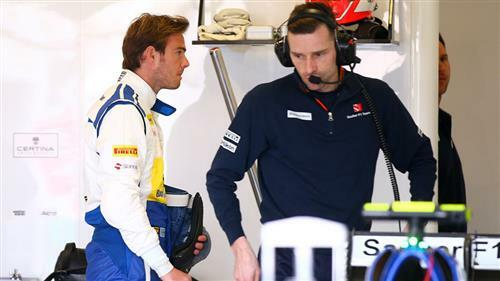 Nate, dont you think Van Der Garde sort of commited characterr suicide? he just said out to the world that he will place his needs over the team's and now everyone knows he's a liability, surely that means that the chances of him singing with another team in the future are virtually nil? @Phoenix: Good way of putting it. I can't imagine many teams are going to want to go near him after this. Is Max going to win this GP? @Dutchy: Nothing is impossible in F1, but a lot of things are unlikely - including Verstappen winning on Sunday. Button starts a timed lap. What are the chances of Hamilton's personal life issues following him to the track like they did in 2011? @Phoenix: Hard to speculate. He seemed more mentally strong last season and he has certainly grown a lot both as a driver and as a man. With the most dominant car at his disposal its his title to lose, so let's see. thanks Nate...I would prefer to stay here and watch your and everyone else comments!!! 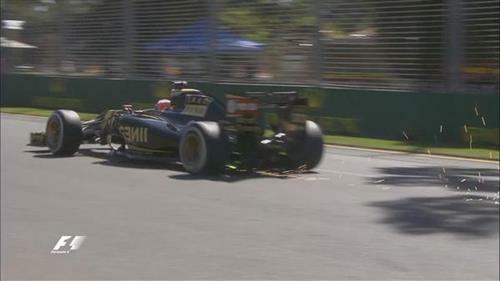 Button goes green in the first sector but pulls out of the lap and returns to the pit lane. @Canuck: Yes, but engine software issues mean were are unlikely to see them in this session. 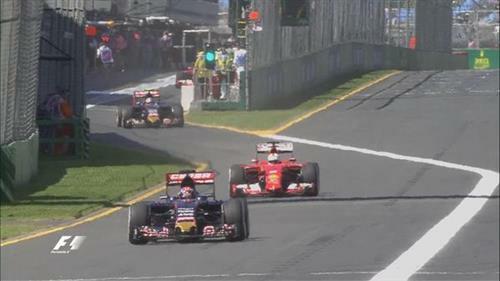 Verstappen is on his first timed lap of the 2015 season. For those asking about an update on the Sauber situation. Manor/Marussia, I doubt they will manage to go below the 107% rule if that still exhists!!! Are we honestly to believe that Hamilton does not have a No. 1 somewhere on his helmet or on the car? Kinda of like the MotoGP guys do if they keep their regular number (incorporate it into a design, usually on their back or the bike's back so the competition can see it)?